Window tinting is a safe, reliable way to keep you riding in style. 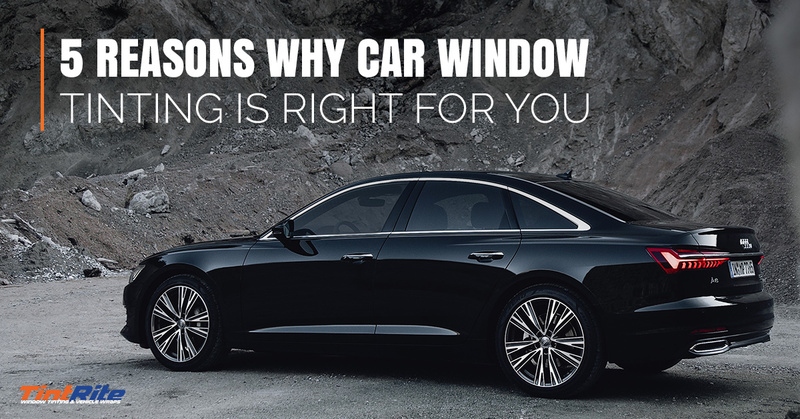 Today, we are going to discuss the top five reasons why window tinting is the right move for you — especially if you live in St. Louis. Auto window tinting is becoming an increasingly fashionable and wise move for any car owner. There are many benefits to tinting your car, and it is becoming more affordable and reliable than ever before. Don’t settle for bubbles, purple tints, or rough, inconsistent edges. It is time to get the perfect window tinting without sacrificing quality or your wallet. If you’re looking for an extremely reliable, professional, and affordable way to do car window tinting, bring your car to the experts at TintRite Window Tinting in St. Louis. When you bring your car to TintRite, you’ll be pleased to know that it is St. Louis’ Top Rated Local® window tinting shop that aims to provide the best, professional services to every customer. We are happy to give you a free quote, so call today at 314-558-5885. Temperature control. Getting your car windows tinted helps block heat-producing rays so you, your family, and your friends can ride in your car without suffering a heat stroke. We all know St. Louis summers get hot. If you want to look smart, comfortable, and stylish, window tinting might be for you. Privacy concerns. Sometimes you want to stay safe and secure inside your vehicle without nosey motorists violating your privacy. Feel peace of mind by getting your car windows tinted. There are different levels of car window tinting that will help you find the right amount of privacy. Nobody likes getting stared at or spied on, so get your windows tinted today. Longevity. If you’ve ever looked at your uncle’s busted Dodge Dart and wondered how the interior got so faded, it is probably because of the UV degradation that damaged the car’s seats and upholstery. Protect the interior of your car by tinting your car’s windows. Visibility. It seems counter-intuitive, but tinting your windows can yield incredible results as far as your ability to see the road. Window tinting reduces the glare caused by the sun. If you have trouble seeing the road during the day, despite wearing glasses and having the visor down, strongly consider tinting your windows. Style. The next time you roll up in downtown St. Louis, whether you are going to a baptism or are hitting the clubs, imagine rolling up in a car with tinted windows. It says something. It says, “I take the effort to take care of my car, myself, and my safety.” Be the envy of your friends with your tinted windows. If you are looking for a company that is not going to swindle you, come to TintRite Window Tinting. Our professional technicians will give you the best car window tinting service possible. We have great hours and are able to adapt to your schedule. We keep our prices fair and competitive, regardless of the size of your car’s window tinting project.